This year’s conference will take place January 29-31, 2015 in Baltimore, MD, and Smart Growth America is excited to be one of the many organizations participating. 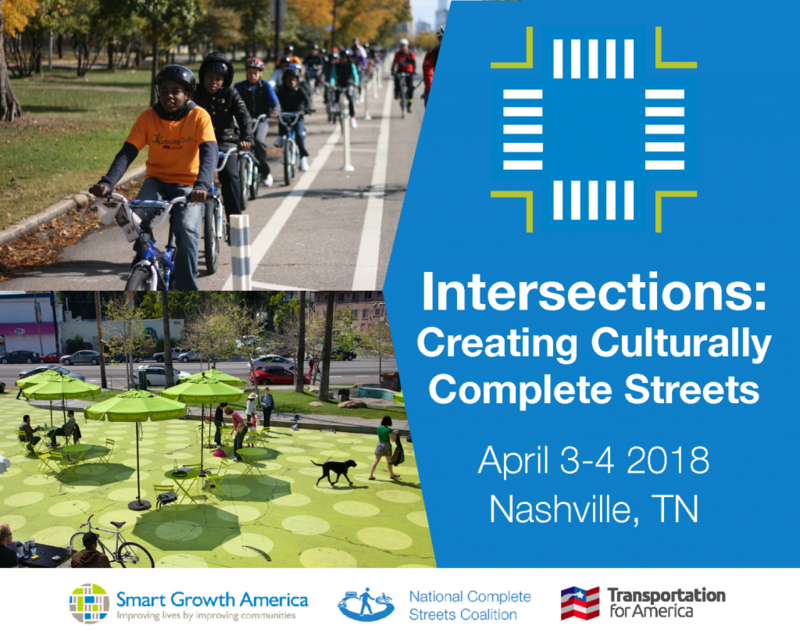 If you plan to attend the conference, be sure to catch the following sessions featuring Smart Growth America’s members and staff. From left: St. Louis, MO Council President Lewis Reed, Smart Growth America’s Neha Bhatt, Columbia, MO Councilmember Barbara Hoppe, Queen Anne’s County, MD Commissioner David Dunmyer and Las Cruces, NM Mayor Pro-Tem Sharon Thomas participate in a panel discussion at the New Partners for Smart Growth conference. Members of Smart Growth America’s Local Leaders Council gathered in Denver, CO last week to share their smart growth experiences and ideas at the 2014 New Partners for Smart Growth conference. Over the course of the three-day event, Council members brought their unique perspective to the smart growth development discussion. “Eight to ten people working really hard can go far in mobilizing a community,” said Councilmember Barbara Hoppe of Columbia, MO, expressing one of the core themes of the conference—the power of public engagement.